The final state budget funds up to ten new positions for Republican Superintendent Mark Johnson. Three DPI employees with ties to former Democratic Superintendent June Atkinson are targeted for termination. A N.C. General Assembly budget mandate to fire certain North Carolina public education officials would target Republican rivals’ allies and the top staffer in the State Board of Education, N.C. Policy Watch has learned. 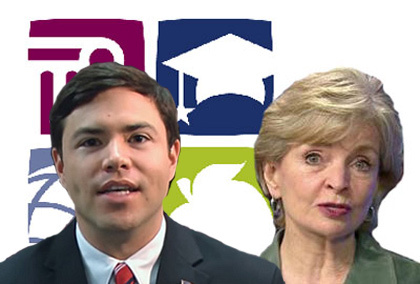 Of the five filled positions set for termination within DPI—including an associate state superintendent, an education consultant, a business and technology analyst, a clinical research specialist and the agency’s director of external meetings and special projects—three are currently held by former campaign volunteers of Democratic ex-state Superintendent June Atkinson. And the elimination of a top staffer for the State Board—currently mired in a lawsuit with the Republican-controlled legislature over the board’s powers—also seems a targeted attack, state board Chairman Bill Cobey says. On Monday, Cobey, a Republican who sits on a panel of gubernatorial appointees charged with overseeing and administering the state’s public schools, called the ouster of Atkinson volunteers “curious,” and bristled at the removal of the board’s executive director Martez Hill, who represents the board at the legislature and advises members on K-12 policy. Meanwhile, Atkinson suggested Monday that the cuts were “retaliation” and “mean-spirited.” During her decade-long stay in office, the Democrat often butted heads with state lawmakers over public school funding and the department’s activities, particularly with GOP lawmakers since Republicans seized control of the legislature in 2011. Republican leadership. Senate GOP leaders such as President Pro Tempore Phil Berger and Sen. Chad Barefoot, an influential K-12 budget writer, did not respond to Policy Watch inquiries. 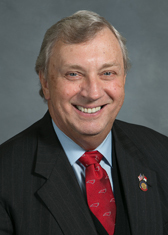 The legislature’s split with Cobey is particularly noteworthy, given the veteran North Carolina politician once chaired the state Republican Party and served in Congress. Hill did not respond to Policy Watch interview requests this week. Nor did two of the former Atkinson volunteers, Michael McLaughlin and Jamie Woodlief. The third, Sid Baker, declined comment for this story. While the state’s Human Resources Act bars politically-motivated firings and terminations without “just cause” for these DPI employees, they aren’t likely to be protected as their position cuts constitute a legislative action set into law. Likewise, the employees would not be able to take advantage of an appeals process granted other state workers under the Human Resources Act, although employees may still file suit in the courts. The job cuts within DPI come as state lawmakers look to shift funding and positions in the department under the purview of new Republican Superintendent Mark Johnson. The final plan includes $700,000 in recurring cash for up to 10 new positions reporting solely to Johnson, who has complained openly and in legal filings about the state board having final say on the lion’s share of positions in the department. Johnson did not respond to Policy Watch interview requests for this report. Cobey said he continues to oppose the legislature’s move to shift personnel in the department under Superintendent Johnson’s office, eliminating positions for the agency that provides support and training for rural and low-income school districts in North Carolina. “I can’t understand it, period,” Cobey said. Hiring and firing powers are one key component of the state board’s lawsuit with the legislature, which is due for a pivotal hearing this week before a three-judge panel in Raleigh. Atkinson emphasized this week that Baker, McLaughlin and Woodlief all provided campaign work for her when they were not on the clock, a key stipulation of state personnel law. Indeed, multiple state officials, both Republicans and Democrats, suggested it was unusual for the state legislature to single out positions for elimination as they have this year. Instead, lawmakers typically hand down discretionary cuts that can be administered by department leadership. “Does this budget reflect that the General Assembly does not have the confidence in the new superintendent to make the right decisions?” said Atkinson. 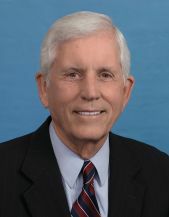 Baker, the former assistant director of the N.C. Teacher Academy, had held his position, which took in an annual salary of $83,189, since May 2012. Woodlief, meanwhile, has a longtime association with Atkinson, serving as the ex-superintendent’s special assistant and scheduler from January 2012 until December. That’s when the outgoing Atkinson says she recommended Woodlief for a new post as a social and clinical research specialist, earning a $55,000 annual salary, according to state records. McLaughlin took over his position, in which he earns $80,045, as a consultant for the department in early January, a day after Johnson took the oath of office. On Monday, however, Atkinson rebuffed any suggestion that she dished out sweeteners to her supporters following her election defeat in November. State budgets cuts within the department also eliminated the positions of associate state school superintendent Hill, who earns $133,004, and a business and technology analyst, Melody Bennett, who has an annual salary of $52,992. Republican and Democratic lawmakers who spoke to Policy Watch about the job cuts this week expressed concern, adding that Senate leadership has not provided any clarification to them either. Rep. Craig Horn, an influential Union County Republican who co-chairs the House education budget committee, said he was unaware that three of the positions targeted had a past association with Atkinson. Horn said he’s “to some extent embarrassed” that he didn’t ask for more explanation on the position cuts, adding that state law clearly seeks to bar dismissals for political reasons. Still, Horn said state employees should be wary of political associations. General Assembly Democrats also questioned the DPI lay-offs, criticizing state Republicans for dismissing questions during the budget process about their political motivations for targeted cuts, including a $10 million reduction for the state Department of Justice that would reportedly force Democratic Attorney General Josh Stein to lay off a third of his attorneys. “I do believe some of these things are vindictive and partisan,” said Rep. Bobbie Richardson, a retired school administrator and Democrat who serves as the party whip in the state House. Richardson, meanwhile, said she also didn’t know of the DPI employees’ connections with Atkinson. Graig Meyer, an Orange County Democrat and former school administrator who sits on the House Education Committee, also blasted Republicans for the move. The job losses in DPI aren’t the only controversial education budget cuts handed down by state lawmakers. An early version of the Senate budget included a massive, 25-percent cut in operations funding for the department, although the House and Senate compromise approved last week whittled that down to a still-significant 6 percent cut this year, followed by a nearly 14 percent cut in the second year of the biennial plan. Superintendent Johnson has not publicly responded to the deep DPI cuts. Democratic Gov. Roy Cooper vetoed the $23 billion spending plan Tuesday morning, which he criticized as neglecting public schools. North Carolina state lawmakers are widely expected to override that veto.